All imports into the US are subject to customs duty unless specifically exempted by law. Licenses or permits may be required for imports of certain restricted merchandise, including alcoholic beverages, animal and animal products, certain drugs, firearms and ammunition, vegetables, fruits & nuts, meat and meat products, milk, dairy and cheese products, plants & plant products, petroleum products, etc. There are no foreign exchange controls over payment for imports. For details on import requirements of the US, please refer to the US Customs Service’s website via the following path: http://www.customs.ustreas.gov/ (Main page > Importing & Exporting > Information for the infrequent importer/traveler > US Import Requirements). Readers may also access an interactive database on US import statistics at the above site via the path: http://www.usitc.gov/ (Main > USITC General Trade Resources > DataWeb >Prepared Trade Data Reports > US Trade by Partner Country). Apart from import duties, sales tax applies to most goods, ranging from 2-10%, varies among cities and states. The US system provides for the duty-free importation of a wide range of products from beneficiary developing countries. On August 6, 2002, President Bush signed legislation renewing the GSP programme and extending it through December 2006. Approximately 140 countries and territories are beneficiaries of the GSP scheme. Details of eligible products and list of beneficiary countries may be browsed from the online publication, “Importing into the United States” at: http://www.customs.ustreas.gov/. Hong Kong has graduated from the GSP scheme in 1989. Imported goods are usually required to be marked with the country of origin in English. The marking has to be permanent, legible and conspicuous. Additional labeling is required on food, cosmetics, textiles and apparel, selected household products and flammable fabrics. Details are available from the website of the Federal Trade Commission: http://www.ftc.gov (Main page > Business Guidance > Rules and Acts). The US rigorously enforces laws on dumping. When the Department of Commerce determines that a class of foreign goods is being, or is likely to be, sold to purchasers in the US at less than its fair value, an antidumping duty investigation may be conducted. The US International Trade Commission (ITC) is responsible for conducting the final injury investigation. If all the determinations are affirmative, the DOC will issue a duty order. Please refer to the US Federal Trade Commission, Bureau of Consumer Protection for labeling requirements on textile, wool and fur materials. Website: http://www.ftc.gov/ (Main page > Business Guidance > Rules and Acts > Textile, Wool, Fur and Apparel Matters). b) Toys— Under the Consumer Product Safety Act, all toys must comply with a uniform safety standard. Imports are also required to be covered by an import licence. For details, please refer to the website of the Consumer Product Safety Commission at: www.cpsc.gov The US Toy Industry Association (TIA) also advocates members' compliance to the safety standards set by the International Council of Toy Industries. c) Electrical products —Certain electrical appliances sold to the US have to comply with the mandatory requirements of UL/ETL listing or equivalent, in order to meet the federal safety standards. Certain products including radios, tape recorders, stereos are required to meet the FCC standards. 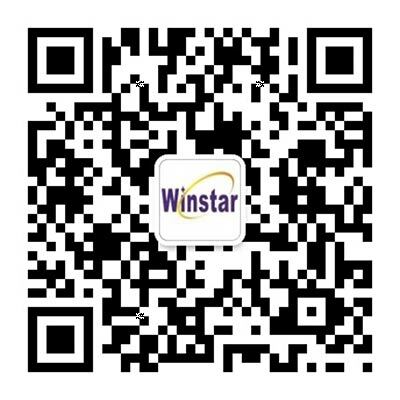 Contacts for further information include the Food & Drug Administration, the US Department of Energy, Consumer Products Efficiency at:http://www.energy.gov/, the Underwriter’s Laboratory (UL): http://www.ul.com.hk; or the Federal Communications Commission (FCC) http://www.fcc.gov/. d) Food— All imported foods, beverages, drugs devices and cosmetics are governed by the provisions of the Federal Food, Drugs and Cosmetic Act, and administered by the Food and Drug Administration. New nutritional requirements for food products came into effect under the Nutrition labeling Act of 1990. For details on specific requirements, contact the Animal and Plant Health Inspection Service (APHIS), US Department of Agriculture at: 4700 Rive Road, Riverdale, MD 20737. Tel: (301) 734-5786; Website: www.aphis.usda.gov/; or the Food and Drug Administration at: www.fda.gov/. —newsletter “Business Alert-US” for the recent developments in US trade policy at: http://www.tdctrade.com/alert/usabout.htm. Readers may choose to subscribe to free email alerts for regular updates. Just click on “Free Subscription” on the newsletter’s main page. —profiles on various major industries/products for import regulations by major markets. The pages can be accessed via: www.tdctrade.com (Main page > HK Economy, Trade & Business > Manufacturing). Readers in Hong Kong are invited to visit the TDC Business InfoCentre located at Convention & Exhibition Centre, 1 Expo Drive, Wanchai, Hong Kong for further references on overseas markets’ import regulations and market intelligence.